Dear Josh... - Little Country. Big Adventure. 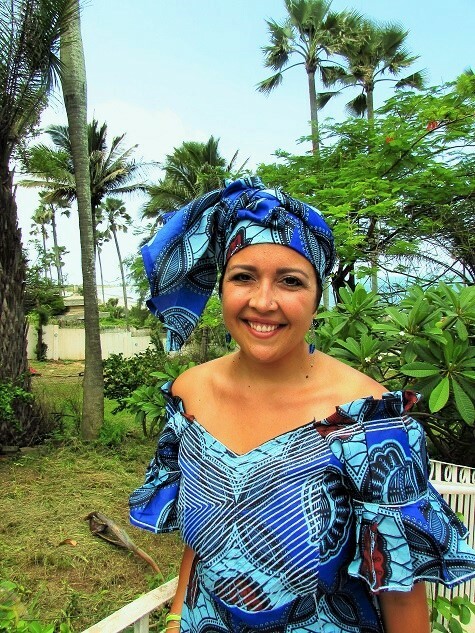 When other people describe blended families, “complicated” is at the top of their list. They surely imagine step-siblings at war, vying for their parents’ attention, pulling evil pranks on their new, unwanted counterparts. The funny thing is that with our parents’ marriage, perhaps the only thing that wasn’t complicated, was us. The six of us kids just fit together. Different blood, different genes, different last names — but brothers and sisters just the same. 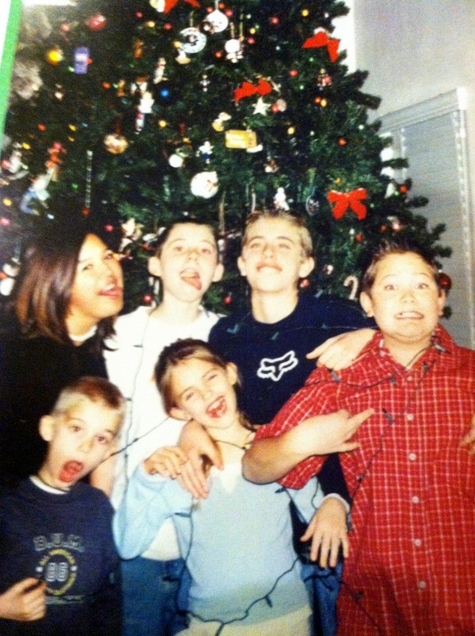 Brendon, Josh, Travis, Me / Cody, Cheyenne. You quickly melded Travis and me into your life, easing the challenges that came with our move across town to your neck of the woods. You made sure your friends became ours, and you welcomed us into your home even though it meant a few more years of bunk beds and a shared room (OK, so you weren’t thrilled about that part). Although we were step-siblings for a short time, we were together for such impressionable years of our youth that the number of months don’t really seem to matter. Our first Christmas together, 2003. You were there when I learned to drive and for that time I bumped into another car at the corner gas station and we made a pact not to tell anyone (oops!). You were there when I finally conquered my fear of roller coasters. Remember how many times in a row we rode “Scream” the day we visited Six Flags and there were no lines? It’s that ride in the corner of the park, the one where your feet dangle as the train zips you upside-down at 65 miles per hour. You helped teach me to drive a four-wheeler, but never let me go on the “big dunes” at Dumont because you and the other boys were all worried I’d get hurt. Or maybe you just thought I’d slow you down since you’d surely never leave me in the dust. You were all so fearless. But especially you, Josh. Ride or die — you carried that mantra through every aspect of your life, living from one thrill to the next. It got you into trouble a time or two, but you always kept your head up: working harder in school, focusing in karate. 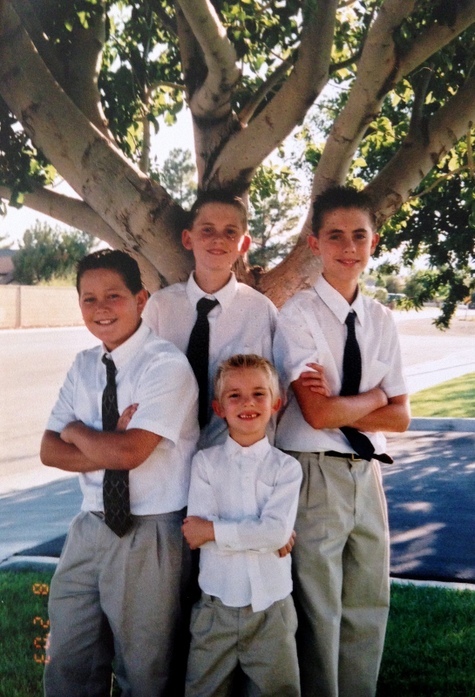 All my brothers: Travis, Josh, Brendon and Cody, 2003. Remember how all eight of us had to pile into that six-seater truck? We’d smush together, holding the little ones on our laps, for the drive to church where our family took up an entire row. Thank goodness we finally had the blue Suburban for that summer we road-tripped across the States. 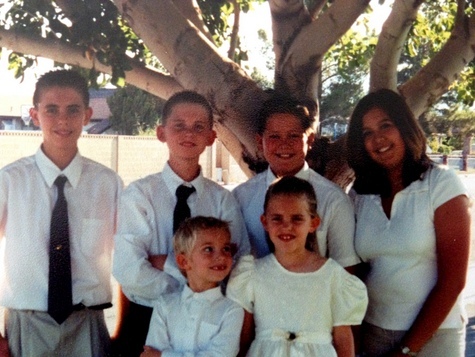 Cheyenne and I barely survived the weeks of farting contests between you four boys. By the way, yours were always the worst. And by worst, I mean you always “won” the contests. What a fun summer that was, visiting your cousins in Tennessee and mine, in Missouri and Wisconsin. And all the stops in between: The Sears Tower in Chicago, some skate park you made us stop at in the middle of Kentucky. 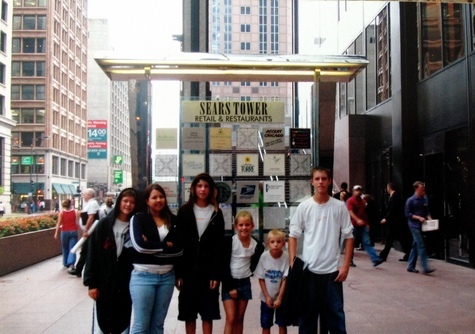 All us us at The Sears Tower, 2004. I remember our other trips, too, to Utah and to Pismo Beach. And I remember just the day to day: our drives to Seminary, then school; how you ate 3 x what the rest of us did, but were still the skinniest; how you’d always be the first to help another one of us out; and the long talks about nothing, or other times, about everything. I want you to know our memories will live in my heart forever, and I’ll never stop wishing you were here to make more. I’m sorry for your loss, Jessica. Beautifully written post. That’s a beautiful letter, Jessica. I’m sorry you lost him. That was a beautiful letter indeed. My heart aches for your loss. I am so sorry.